Burial Hordes are the kind of black metal band that the world can only do with more of. Evil and filled with the sort of rage that will not die, Burial Hordes have come to a new peak 12 years into their career with Incendium. Start with the cover, this is black metal at its finest, some sort of horrific ancient rite at the base of what appears to be a ziggurat. Covered in blood and filled with inner darkness and satanic imagery, this is clearly not the kind of black metal record that will have mainstream appeal, unlike some of these new Deafheaven styled blackgaze bands, and for that it is triumphant. The sheer rage behind these songs is impressive, their is a vicious and undying power to be had here, the product of a group of four dudes letting loose their 'extreme negative energies'. Part of the magic of Incendium is the sheer hatred found throughout, these guys understand what black metal rage is, and in an age where this is becoming less and less common this rage is important. The way these guys charge forward with a marked dedication to evil is impressive, few bands get this sort of destructive hate in their sound. The songwriting is simply excellent, the way the blast beats provide a basis for the sheer darkness of the music is impressive, driving your head to bang and your body into an unholy semblance of motion. In other words, if you want a majestic black metal record that captures some of the spirit of the the modern black metal movement while still honoring the groups musical ancestors then this is the band for you. Burial Horde understand the true spirit of black metal in a time when much of the old guard is fading away and the new stuff doesn't have the sheer hatred of old. 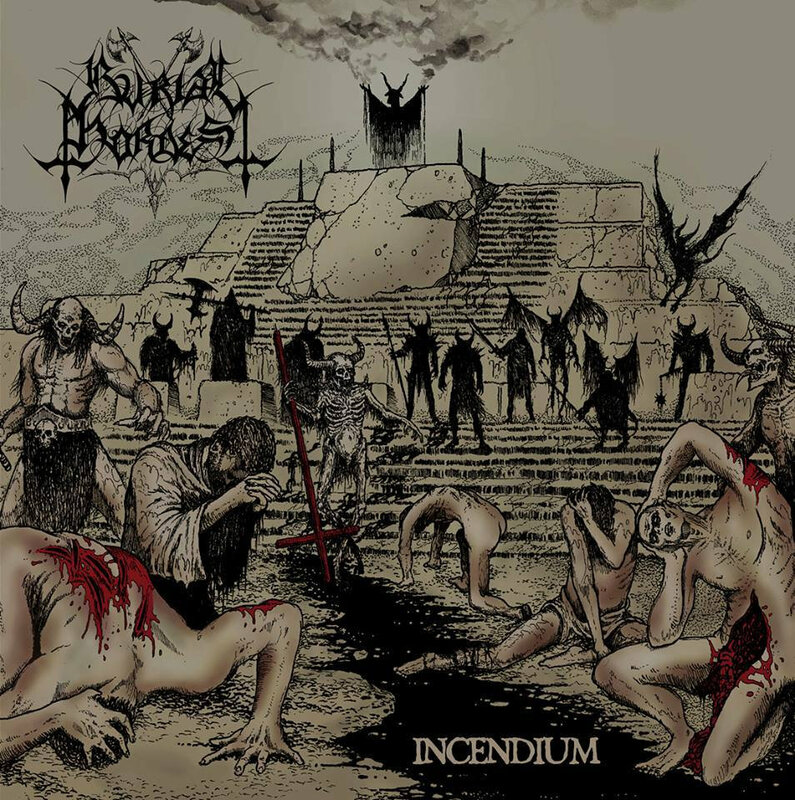 Incendium represents a triumph from a type of black metal who many see as a dying breed. Their is a darkness here that few bands can invoke, these Greek metal lords provide proof, trve black metal will never be stopped!